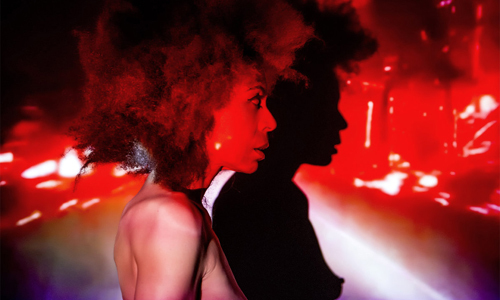 Valerie Renay – also of indie/electro act Noblesse Oblige – will release her first solo album, Your Own Shadow, on September 7. Renay explains that the title refers to “the feeling you have when you don’t recognise yourself anymore because you are made to feel small, insignificant, empty, and lost.” The album was born during a period of personal growth and exploration, with the encouragement of producer Moses Schneider and Einstürzende Neubauten’s engineer Boris Wilsdorf, followed by a series of solo international shows where it evolved organically into a dark, emotionally charged whole. The songs are simpler and less structered than Renay’s previous work with Noblesse Oblige, focusing instead on emotion. The artist also taught herself to play the instruments, create arrangements, and learn production to maintain creative control, with the exception of the lyrics to “Speed of Blue,” which were written by Ian Pickering of Sneaker Pimps, with co-production by Alexander Paulick-Thiel of Kreidler. Pre-orders of Your Own Shadow are available now through Bandcamp and include an instant download of the exclusive track “Sailor.” The music video for “Sailor,” shot by Sebastian Lee Philipp, premieres August 13 on The 405.